A lossless music recorder that can record any sound playing on Mac, such as songs, games, movies, as well as streaming audio including YouTube, Spotify, Apple Music and other sources without losing any quality. Record online music from streaming music sites including YouTube, Spotify, Pandora, Apple Music, Google Play Music, Deezer, etc.  Record audios from online radios and podcasts such as AOL Radio, Sound Cloud, NPC, iHeartRadio, RTVE, iTunes Radio, BBC, etc. Record any sound from computer drive including local songs, game music, etc. playing through music players or other apps on Mac. Record and extract sound tracks from video files, including both online and local movies playing on macOS. 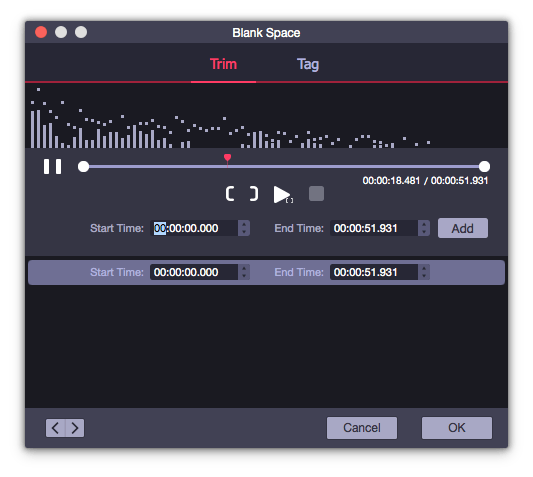 As the most intelligent music recorder, AudFree Audio Capture for Mac is capable of grabbing several tracks all at once, no matter they are in same or different formats. In other words, you can play multiple audio tracks from different programs or sources simultaneously to save a lot of time and efforts. 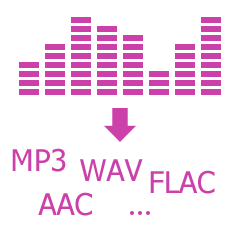 When capturing diverse tracks together, you don't need to worry that the recordings would mix accidentally as AudFree Audio Capture can intelligently detect the silence and pauses between all the songs and then split the recorded audios into independent tracks correctly. While capturing, you can also split or cut each recording into small segments by setting the start and end point precisely. You can also mix multiple sound tracks into one with the built-in audio merger.  AudFree Audio Capture for Mac is able to automatically fix the ID3 tags while recording the music and allows you to edit the missing tag info, including title, artist, album, year, genre, cover with ease. 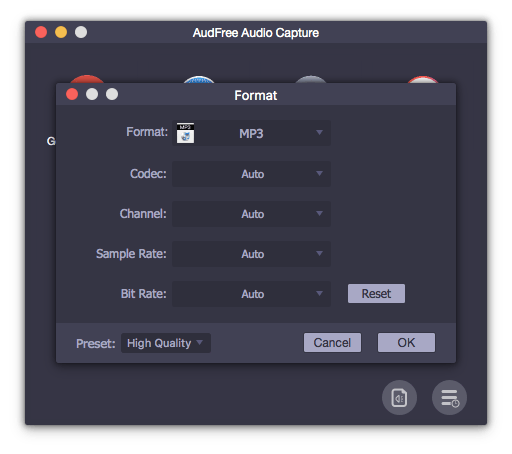 Apart from capturing audios with lossless quality, AudFree Audio Capture for Mac also has the ability to convert your audio recordings to multiple popular formats such as MP3, WAV, AAC, FLAC, M4A, and M4B for diverse use. 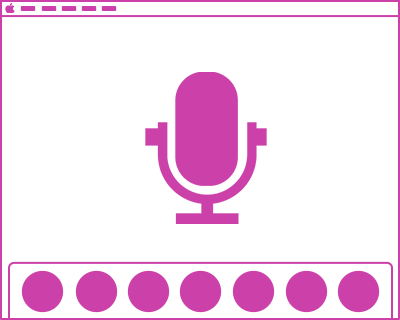 After that, you are able to share those well recorded audio clips anywhere and listen to the tracks on all devices and players in high quality. You can manually edit music quality of the recording by customizing the audio parameters, such as codec, channel, sample rate, bitrate. Easy-to-operate recording interface with simple operation enables you to capture any sound of your Mac with a few clicks only. 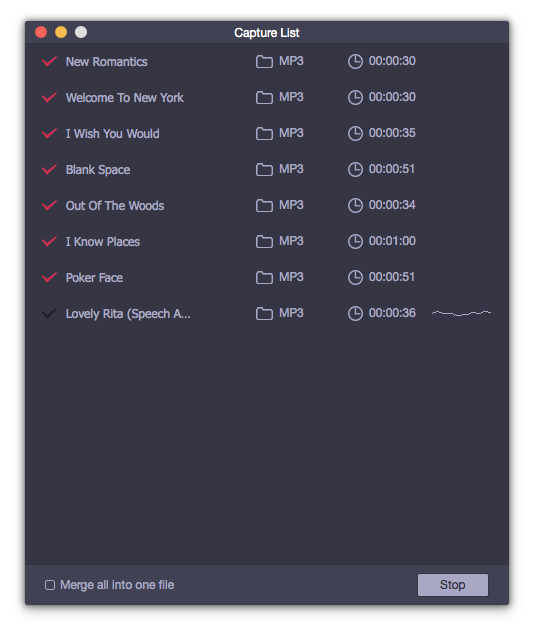 Classify recorded tracks under different sources so that you can easily manage and organize your whole music library. Intuitive and dynamic operation window lets you preview the whole sound recording process visually. 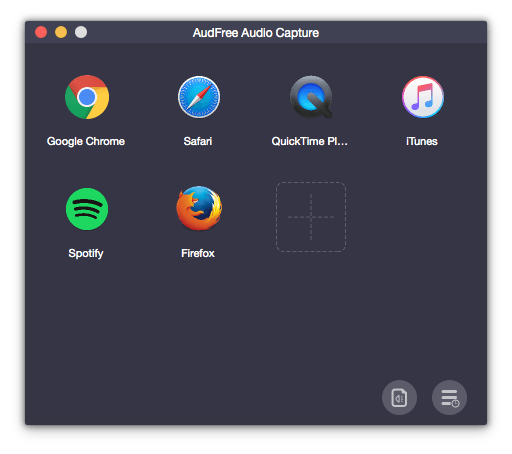 Upon launching AudFree Audio Capture for Mac, you'll find some apps being listed on the main window. Before recording, you should set the output format and other preferences. This is the recording window once you beginning recording the audios. Once recorded, you can split the recordings or adjust music quality as you like. Can I tranfer the license to a new computer?